Here at ISB Mobility, we are dedicated to providing all of our customers with a range of high quality products that are guaranteed to help them gain independence around the home or out and about. 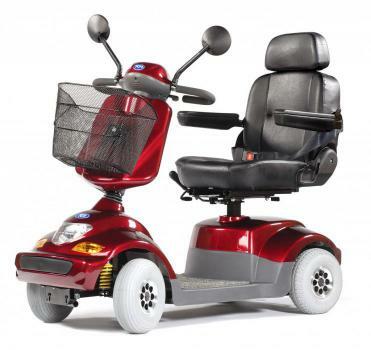 We offer the very best solutions for home adaptations and products such as mobility scooters, electric wheelchairs, powerchairs, power packs, ramps, mobility accessories, walking steps, walking frames, crutches, recliner chairs, bathroom and toilet aids, stairlifts and much more. We are always on hand to answer any questions or queries you may have about our products. As a leading company offering a range of premium mobility aids in Ireland, we want all of our clients to receive fantastic value for money when buying products from us which is why we are always comparing our pricing structure with our competitors. When stocking our shop we keep product variety in mind so that you are guaranteed to find something for all your needs. All of our products are tested by our experts to ensure their quality and accessibility, and that they are suitable for use by the elderly or handicapped. If you are looking to purchase mobility aids in Ireland, and would like to place an order with us simply click ‘buy now’ on any items you want. Pay securely online via PayPal or get in touch with us to place your order over the phone. Once we have received your order, we will be able to deliver it safely and securely to your home. To enquire with us about any of our mobility aids in Ireland, please do not hesitate to give us a call today on +353 (0)45 892696 or +353 (0)1 6167079. We will be more than happy to answer any questions or queries you may have. Alternatively, send us a message by filling out the contact form on our website. We will get back to you as soon as we possibly can.